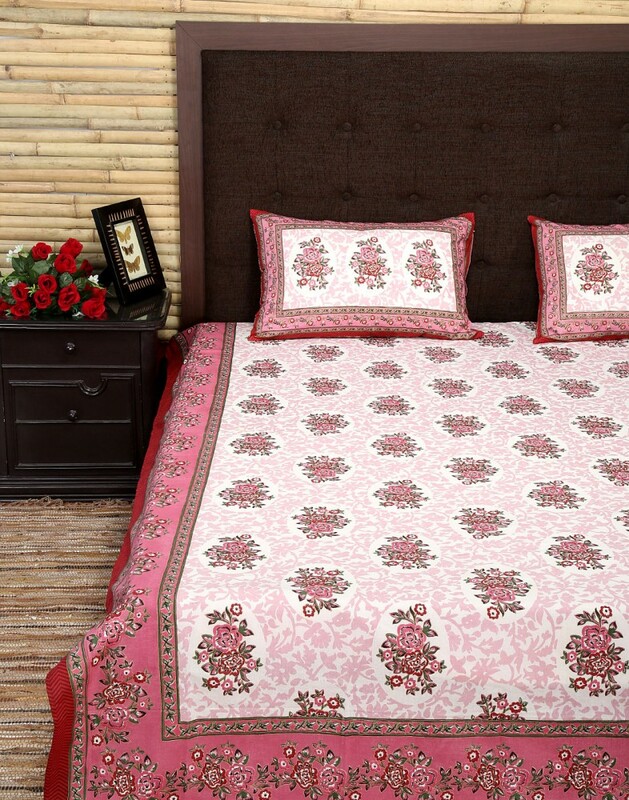 A simple bed sheet for your double bed that grace the bed room perfectly for this summer. 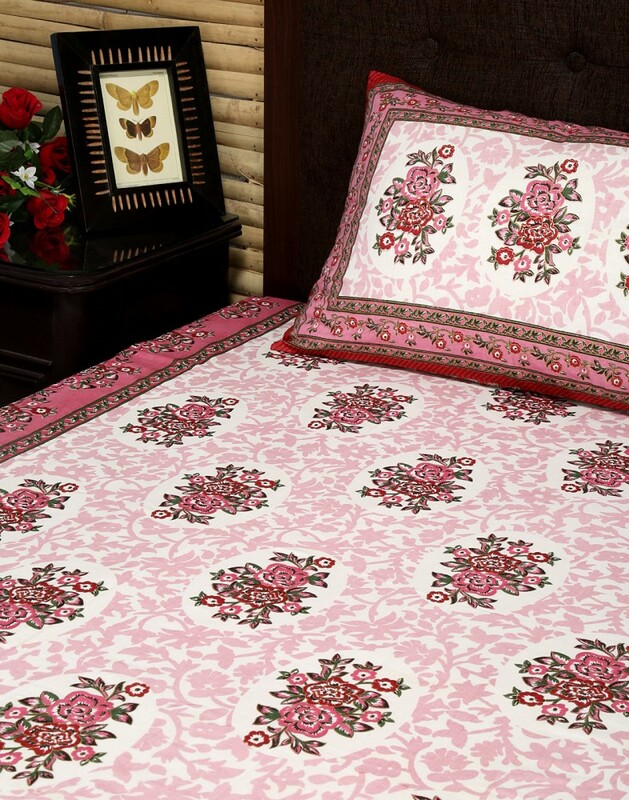 Floral prints all over the bed sheet for that gives you a pleasant feel. 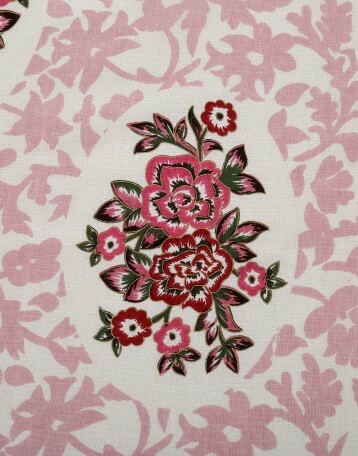 Broad borders that looks very attractive. 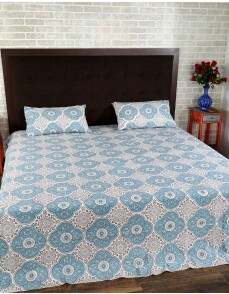 Made of 100% cotton, the bed sheet has soft feel and smooth touch.High quality fabric for durability and longevity. 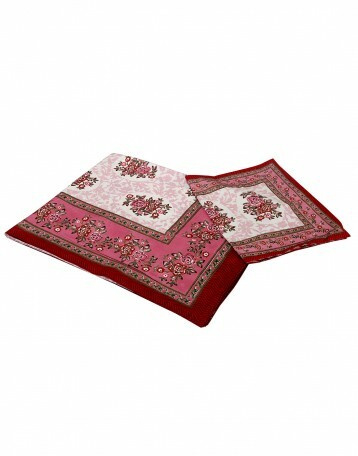 It comes in the packaging of 3, that contains 2 printed pillow covers. 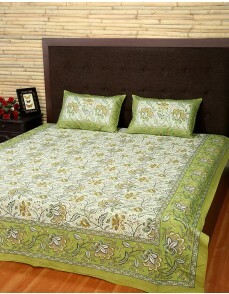 Further gold highlights on the prints.A pleasant appeal in the room when you just want to relax. Dry clean only to avoid color fading.